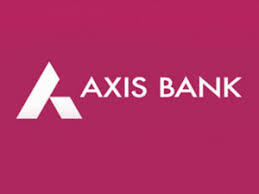 Axis Bank will be watched.  The Specified Undertaking of the United Trust of India (SUUTI)proposes to sell up to 5.07 crore (1.98%) equity shares of face value of Rs 2 each of Axis Bank on 12 February 2019 (T day), (for non-retail investors only) and on 13 February 2019 (T+1 day) (for retail investors and non-retail investors who choose to carry forward their un-allotted bids) with an option to additionally sell 2.63 crore (1.02%) equity shares of the company (the oversubscription option). The offer shall take place on a separate window of the stock exchanges on 12 February 2019 (T day) and 13 February 2019 (T+1day) from 9:15 a.m. to 3:30 p.m. (Indian Standard Time) on both days, as per details given below. The floor price for the offer shall be Rs 689.52 per equity share. As on 31 December 2018, SUUTI held 9.289% stake in Axis Bank. The announcement was made after market hours yesterday, 11 February 2019. Tata Steel BSL announced that its board approved issuing up to 1200 crore - 11.09% non-convertible redeemable preference shares (NCRPS) of face value of Rs 10 each at par aggregating up to Rs 12,000 crore to Tata Steel on a private placement basis, subject to the approval of the shareholders of the company. The board also approved issuing up to 1200 crore - 8.89% optionally convertible redeemable preference (OCRPS) of face value of Rs 10 each at par aggregating up to Rs 12,000 crore to Tata Steel on a private placement basis, subject to the approval of the shareholders of the company. The announcement was made after market hours yesterday, 11 February 2019. Alembic Pharmaceuticals announced that Aleor Dermaceuticals (Aleor), a 60:40 joint venture between Alembic Pharmaceuticals (Alembic) and Orbicular Pharmaceutical Technologies (Orbicular), has completed United States Food and Drug Administration (USFDA) inspection at its formulation manufacturing facility located at Karakhadi, Gujarat, India; with two observations. The inspection was carried out from 4 February 2019 to 8 February 2019. The announcement was made after market hours yesterday, 11 February 2019. Indian Overseas Bank announced that the Reserve Bank of India (RBI) has levied a penalty of Rs 1.5 crore on the bank for non-monitoring of end use of funds and delay in reporting of fraud in respect of one of its borrowers. The bank has taken necessary measures to strengthen internal controls to avoid such recurrence. The announcement was made after market hours yesterday, 11 February 2019. JK Tyre & Industries announced that its board on 14 February 2019 will consider issuing equity shares to the promoter group on preferential basis at such price as may be determined in accordance with regulations. The announcement was made after market hours yesterday, 11 February 2019. Edelweiss Financial Services announced that Allianz Investment Management, the investment management arm of Allianz Group (one of the world's largest insurers), has made an investment of over $200 million into Edelweiss' private debt platform. Edelweiss, one of India's leading diversified financial services has pioneered private debt investment in India and is one of the largest private debt managers in the country. The announcement was made after market hours yesterday, 11 February 2019. Gulf Oil Lubricants India announced its association with Mahindra Logistics (MLL), one of India's largest 3PL solution providers, to strengthen its supply chain and to implement its post GST supply chain consolidation strategy which is focused on achieving efficiencies in total cost. As part of this association, a Central Distribution Center (CDC) has been set up in Chennai with state-of-art Warehouse Management Systems (WMS) to serve the entire product portfolio of Gulf Oil. MLL is the first 3PL company to work with Gulf Oil and will handle this fully compliant warehouse, the first CDC of its kind for them. Gulf Oil has plans to open similar large format warehouses, across the country soon. The announcement was made after market hours yesterday, 11 February 2019.